AMD - a mighty dock? 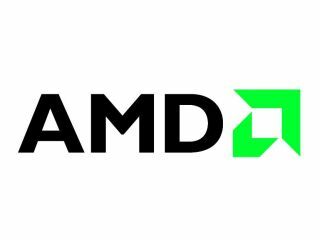 AMD believes that people will not want to choose between a small, portable and lower power device and a heavier but more powerful option, and a senior figure at the company thinks that docking could be the answer. The computer world is awash with talk of so-called 'thin clients' which don't need huge processing power and take advantage of the cloud to store information and run applications and 'fat clients' which have more processing power and their own storage for programs and data. With its Fusion project, AMD is keen to align itself with both thin and fat clients, but vice president of marketing Leslie Sobon thinks that the public will not need to compromise in the long run, with the option of a portable device that docks into a more powerful machine when portability is less of a problem. "We talk a lot about thin client cloud and I just don't think it's that simple," said Sobon, "I think it's a lot of stuff in the cloud and still fat clients." "There are things that people are going to be comfortable having in the cloud and things that they are going to want their flash drive to hold and you are offering them the choice – it's never going to be an either or proposition. "But for me it's how you move from something that's mobile and portable to something you can actually manage and enter content with – those things need to come together. "Docking is probably the way that will come together. You basically have a smartphone and then you dock it and it expands its ability." Google is hoping that the release of its Chrome OS at the end of the year will bring a slew of thin clients, with the operating system designed to utilise the cloud and local storage limited to a cache.